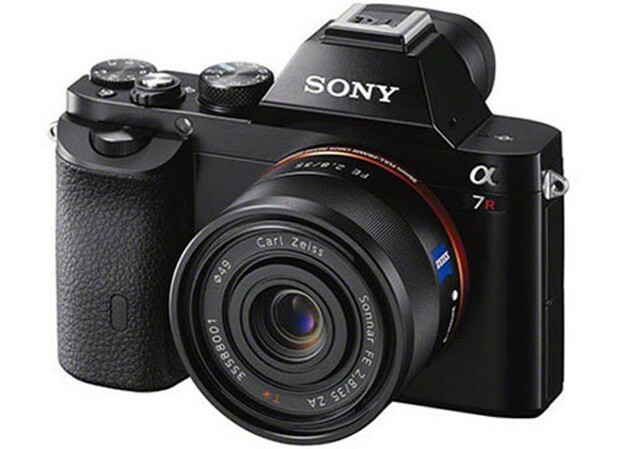 The biggest news this week has to be Sony’s release of their brand new A7 and A7R mirrorless cameras, which are the first non-Leica full-frame mirrorless interchangeable lens cameras. They’ve created two pro-grade cameras that feature full frame image sensors in a small body with excellent electronic viewfinder and a bunch of features. They re-use the existing Sony E-mount, which allows for mounting of all existing NEX E-mount lenses (though they will operate in a ‘cropped’ mode), plus the new full-frame compatible FE lenses. The A7 and A7R are virtually identical cameras save for the image sensors. The A7 features a 24 megapixel full frame CMOS sensor with phase detection pixels to aid in faster focus and more accurate tracking autofocus. The A7R has a full frame sensor with a whopping 36 megapixels and doesn’t have an antialiasing filter. The A7R does lack the phase detection capability of the A7, however. Both cameras have built-in 2.4 million dot EVFs with big bright optics and are weather sealed. The cameras promise phenomenal image quality in a relatively small body, but there are amazing things and things to be cautious about as well. On the positive side, these cameras should be the ideal platform for adapting manual focus lenses, from rangefinder lenses to older manual SLRs, as the short flange distance means that these cameras can take most any lens ever created. If you have a bucketful of Leica M mount glass, Canon FD lenses, Zeiss Contax lenses or the like, this is a great option to get the most out of that great glass. Caution does need to be exercised when shooting wide-angle rangefinder lenses, though, due to the extreme ray angle to the sensor…some color shift has been noted and a lot more testing needs to be done to see what rangefinder wides will work best. Regardless, this really does provide an amazing platform for using adapted lenses. I will hope to get my hands on one of these in the near future and will provide a full report. 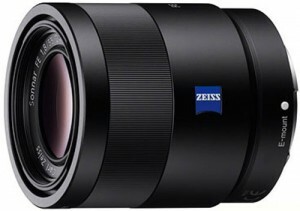 Sony 28-70mm f/3.5-5.6: This is the kit lens for the A7 and will not be available separately. This will cost you an extra $300 over the A7 alone. Carl Zeiss 35mm f/2.8: A wide-angle prime with moderate aperture. This lens is pretty small and will be the main companion for a lot of shooters. Estimated price: $800 US. Carl Zeiss 55mm f/1.8: An excellent normal lens, though a little slower than one might expect for the price. Estimated price: $1,000 US. Sony 70-200mm f/4: A high-end portrait telephoto zoom, but relatively large and heavy for a mirrorless lens. No price has been announced. This isn’t a bad starting lineup from a coverage standpoint, but it’ s not all great news. First off, aside from the 28-70, these lenses are all very expensive. $800 for a 35mm f/2.8 and $1000 for a 55mm f/1.8 are extremely costly for lenses with these specifications. Similar lenses for Nikon and Canon DSLRs are generally half to a quarter of the cost, though these Zeiss lenses are likely to be optically better. The ‘cheap’ lens, the Sony 28-70mm looks to be pretty poor in the image samples I’ve seen, which means you’ll really need to shell out some dough to take advantage of the great sensor. To pick up an A7 with 24-70 and a 55mm f/1.8 will cost you nearly $4,000. That’s steep. Especially since a Canon 6D with 24-70mm f/4 IS and 50mm f/1.4 will cost you only $3500 (though is larger), while a Fuji X-E2 with 35mm f/1.4 and 18-55mm f/2.8-4 will cost you only $2,000. Should these lenses perform up to their prices, though, it may be worth the cost of entry for many shooters. At the outset, availability is a minor concern. The only lens available for the A7R at launch will be the 35mm f/2.8. The 24-70 and 55mm f/1.8 won’t be available until January, while the 70-200 doesn’t have an announced release. These lenses also are relatively big lenses, with minimal size savings over a similar full frame DSLR. So, if you’re planning on jumping on these cameras early, expect to wait a while for a decent native lens situation. The size is potentially going to be an issue for this system, but it still makes a lot of sense if you shoot primarily wide-angle to short telephoto, especially if you’ll be adapting smaller manual focus lenses. Regardless of potential lens issues, this is a very exciting release, and the A7 and A7R should have the best overall image quality of all mirrorless offerings. It’s great to see Sony push the envelope. Continue: Panasonic goes REALLY small. I hear on the Sony lenses. The primes are pretty outrageously priced. On the other hand, the 24-70mm f/4 OSS really isn’t bad at all. That’s probably the best deal of the lot. I mean the Canon 24-70mm f/4 is $1500. That’s a $300 difference right out of the gate. If the quality if good. I’d be happy with that lens along with a few MF primes. I think that zoom lenses are too big for A7 and A7r. Then fit the aspect ratio much better between camera and lenses for the Micro Four Thirds System, also there is more to a good camera than a large sensor, it is certainly not always an advantage with a large full frame sensor ….. Sounds like a dream camera, but although IQ sounds unbeatable, I still think the EM1 will have the edge for most people because of a much lower outlay to get a satisfactory package. Once prices get lower people like me might consider this one. Another thing: The real influence of these cameras will be shown in their second or third imlepemtation, so I would say this series will come alive in two or three years. Many have summed it up here, but I think it’s worth asking the question: what Sony has improved upon compared to the NEX line? Yes–they’ve taken the image quality to new heights (a category they arguably already led). But have they addressed the issues with the NEX line? I still see the same issue–lens choice. But now is price as concern as well? In the big picture, FF will likely move mirrorless anyways. Sony has just managed to best Canikon to the task. So even if the Sony is wildly successful, what about when everyone else introduces their FF mirrorless option 1-2 years from now? Will the Sony be the best option in 1-2 years? Is this a camera that will stay at the top? Judging by it’s feature set and lens selection, I’m not sure it will. Just imagine a FF mirrorless Nikon that takes all F-mount. Would you chose the Sony then? Alternatively, I believe the EM-1 will stay class leading (mirrorless cams) over this period because it offers a more complete camera experience, starting at lenses, and including 5-axis IBIS, weather sealing, viewfinder, and WiFi. Just my $.02. Thanks for reading and thanks to Jordan for a nice write up on the new product season so far. I love the Micro 4/3 system, shooting with the EM-5 and recently the GX7. THE GM1 could the the camera I always have with me but I have a lot of trouble dealing with the lack of a viewfinder. What would really help this for me would be an accessory shoe on top so it would take an optical viewfinder. The GM1 with a PanLeica 25mm and a Leica 50mm Bright Line finder would be superb. Or if the 25mm was a bit large, the Panasonic 20mm would be smaller although 40mm finders are a little harder to find.